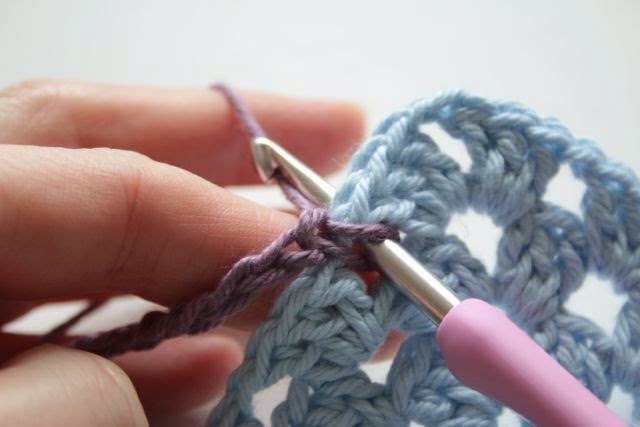 Worked in the same way as a slip stitch, except that the slip is made into an another piece of crochet work or motif in order to join it to the current work. 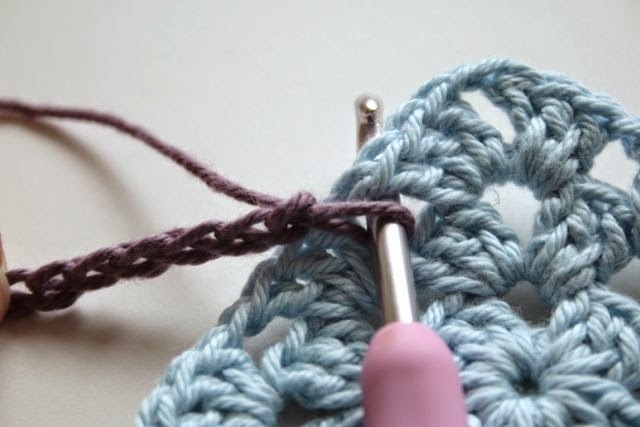 I'm not sure that this is actually an official crochet stitch, but I like to use joining slip stitch to differentiate from a regular slip stitch when describing and working Join As You Go techniques. 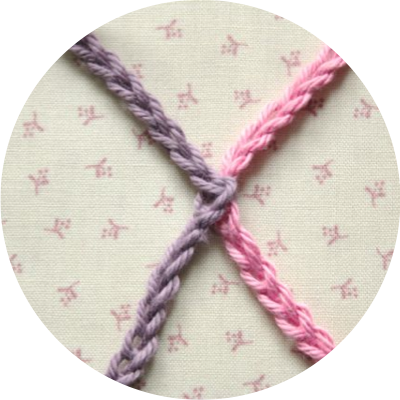 First we get to the point at which the joining slip stitch is to be made, this might be after a number of stitches or chains. Here I've worked some chains and am ready to make a joining slip stitch into the blue granny square. 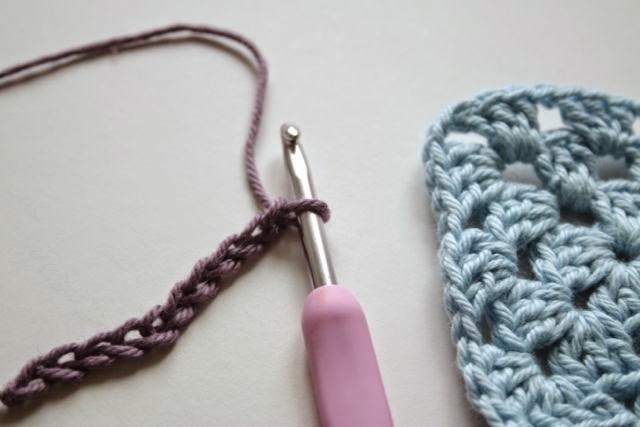 With the current loop still on your hook, insert your hook into the place where the joining slip stitch is to be made. 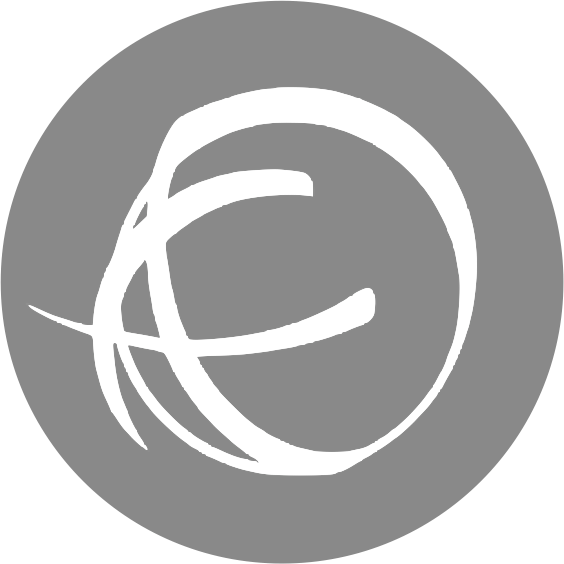 Usually this will be in a chain space, but you could also work into a stitch. 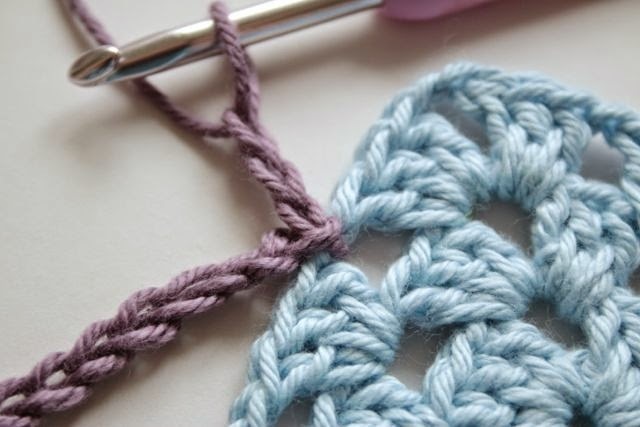 I'm going to make a joining slip stitch into the chain space of the blue granny square. ...and through the loop on your hook at the same time. 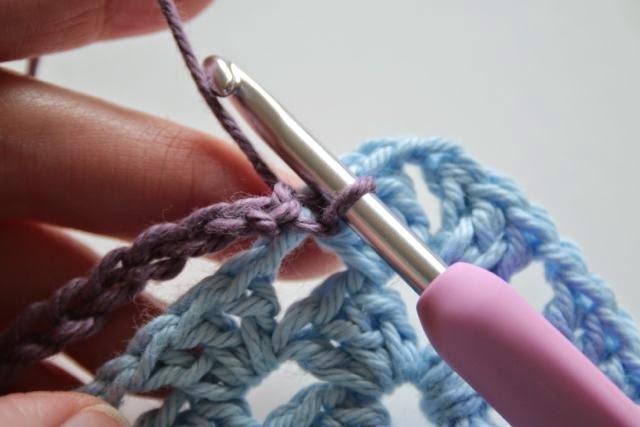 This makes the joining slip stitch. 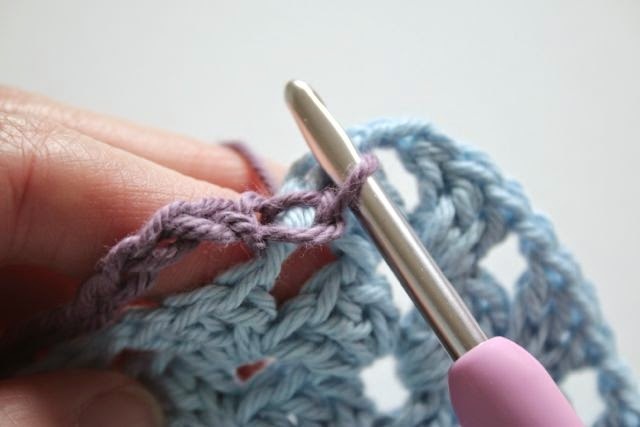 You may find that your stitch is a little looser, if so, just pull on the yarn end to tighten things back up. Here you can see I've carried on with the chains on the original piece of work and the purple chain is securely attached to the blue square.